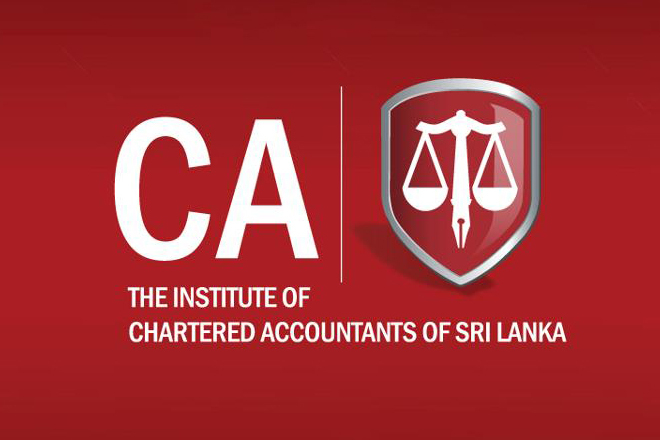 (PRESS RELEASE) – The Institute of Chartered Accountants of Sri Lanka (CA Sri Lanka) is now accepting applications for the coveted 53rd Annual Report Awards Competition from companies producing annual reports. The competition will honour the most cohesive, clear and customized annual reports that better reflect an entity’s operations, whilst going beyond their statutory boundaries of reporting. With a history spanning over half a century, the Annual Report Awards (ARA) has created an important benchmark as a competition that promotes the core elements of transparency, social responsibility and good governance. The ARA has helped organisations from multinationals, conglomerates, NGOs, to even SMEs improve transparency and accountability in financial reporting, while also enhancing Sri Lanka’s reporting standards in line with best global practices. The competition will revolve around the theme “Quintessence of Eminence” this year. Entries for the 53rd Annual Report Awards Competition will close on 31st August 2017. Organisations, from small time community groups to large scale conglomerates representing 25 sectors including banking institutions, state banks, diversified holdings, finance companies & leasing companies, food & beverages companies, healthcare institutions, trading companies, hotel companies, insurance companies, land & property companies, manufacturing companies, motor companies, service organisations, telecommunication companies, unit trusts, media & entertainment, state corporations & statutory boards, plantation companies, construction companies, power & energy companies, not-for-profit organisations (NPOs) including non-governmental organisations (NGOs) and small and medium sized entities, can vie for honours at this year’s competition. Apart from the overall winners and the winners under each respective category, the competition will also reward organisations for Corporate Governance Disclosure, Corporate Social Responsibility Reporting, Management Commentary, Integrated Reporting, Integrated Reporting – Best Disclosure on Capital Management and Integrated Reporting – Best Disclosure on Business Model. President of CA Sri Lanka Mr. Lasantha Wickremasinghe said that an essential ingredient of a good financial report is accurate, timely and comprehensive corporate disclosure. He noted that this not only helps foster the confidence of shareholders and investors of a company, but also contributes to the building up of the company’s public image and reputation. “As Sri Lanka strives towards becoming an upper middle-income country, there is an increasing importance for organisations, from the public and private sectors to be more accountable and responsible,” he said. He recalled that in 2016, the competition set a new record when it received the highest number of applications from 140 companies. Mr. Wickremasinghe assured that if there has been one thing consistent about this competition, it has been its independence. “The evaluation of the competition is carried out at three rounds. The initial selection process is conducted by a technical marking panel and then the short listed annual reports are subjected to an intense technical review by a panel of industry experts. At the third and final stage of judging, the shortlisted annual reports are reviewed by the final panel of judges. The overall winners are selected purely on merit, irrespective of the sector and the financial performance,” he said. Mr. Wickremasinghe added that the evaluation is carried out by highly respected professionals including industry specialists, business leaders and chartered accountants. Chairman of the Annual Report Awards Committee Mr. Sanjaya Bandara pointed out that a good annual report, no doubt entails a great deal of clarity in the presentation of financial and non-financial information that promotes transparency, accountability and good governance. “Therefore, we extend an invitation to the corporates in Sri Lanka to join hands at the 53rd Annual Report Awards competition and demonstrate their continuing commitment towards best practices in annual corporate reporting,” he said. Mr. Bandara said that the institute was continuing to update the checklists of the competition to keep pace with the changes to the accounting standards and other relevant pronouncements. He added that this year the competition has introduced new segments within the manufacturing, banking institutions, finance and leasing sectors to enhance competitiveness among the corporates in these respective sectors.